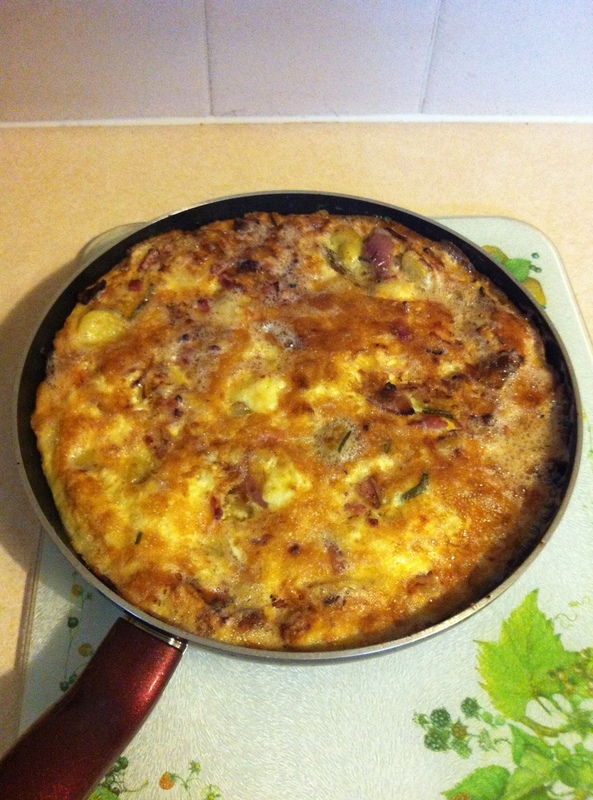 A Brand New Frittata Recipe with Homemade Ingredients! Oof, have to admit it looks rather nice. I’m a fan of making frittatas. Ever since my first one back in April I’ve been making them regularly. I’ve made a vegetarian one using what we had in the fridge, and the other day I came up with my own using ingredients we’ve been growing in the garden. 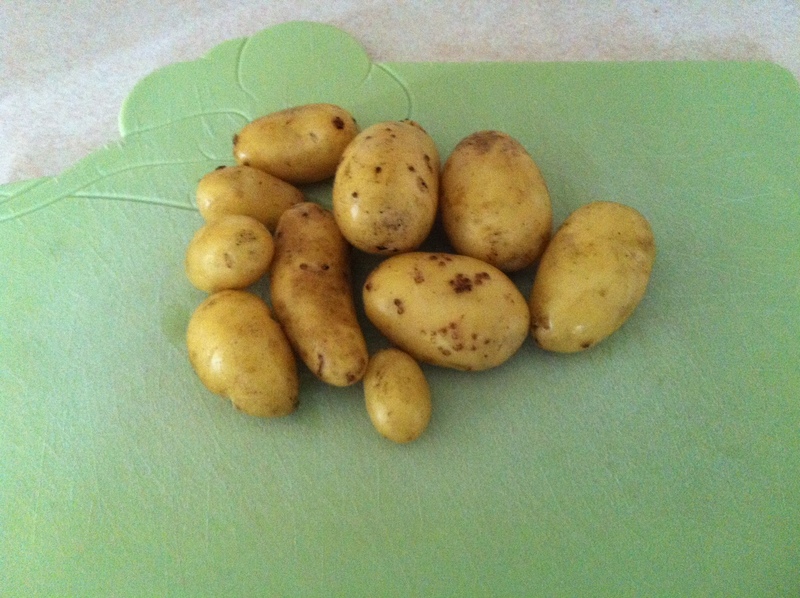 My Mum was very proud of our potatoes, although I think she was disappointed that we got so few considering how many hours she had put in to growing them. They tasted fantastic too. Mum also has some rosemary growing in the garden, and I thought that potato and rosemary would go really well in a frittata with some lardons, and the necessary Cheshire cheese, and this was the result! I par-boiled the potatoes before pan-frying them with the other ingredients, and the rest of the recipe is the same as the links I posted above. aren’t frittatas the best way to clean out the fridge!? love them, so easy and so good! Absolutely! Infinite diversity in infinite combinations! Certainly! This frittata uses 6 large eggs, whipped up like an omelette. 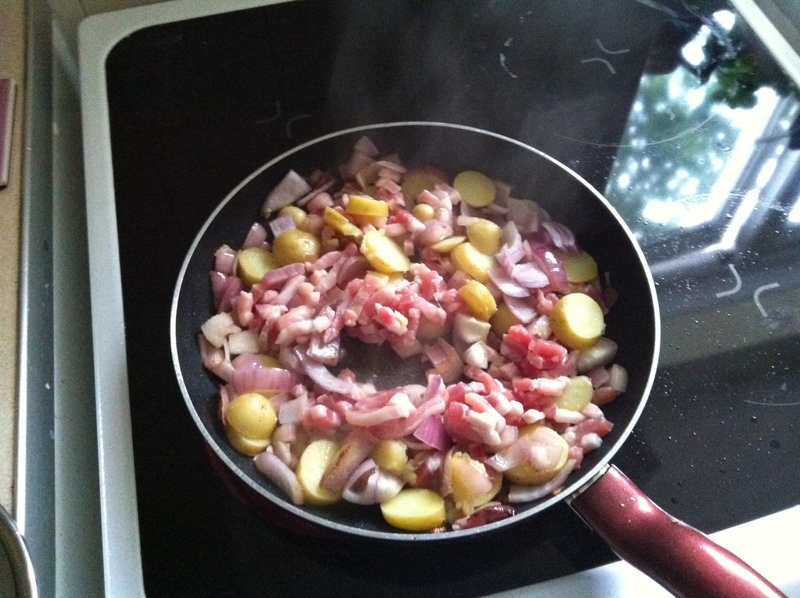 Fry up the ingredients that will be going in, in this case the bacon bits (6 rashers, chopped, or a packet of lardons) and sliced new potatoes. Before you add the egg, chuck in about 250g cubed Chesire cheese (or something equally crumbly) and your herbs, in this case rosemary. Fry for about a minute, then pour in the egg. Cook for about 6 minutes on the hob, drawing in at the edges, then finish under the grill for about 4 minutes so it turns golden on top. If you don’t have a grill, then I guess keep cooking it on the hob! Looks like this appeared twice!